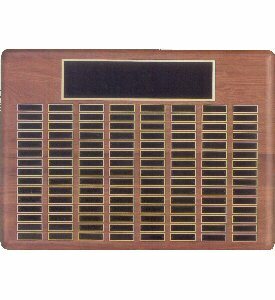 Solid American walnut perpetual plaque with 120 plates. Free engraving of header and one plate at the time of purchase. More plates can be engraved at $10.00 each. Before shipping, a proof will be emailed for your approval.